The “Talita Kumi Residential Drug & Alcohol Treatment Center” was founded by Jorge Armando Rosales to provide care and housing for youth, adults, and particularly the elderly, who are homeless, or drug or chemical-addicted youth and adults. 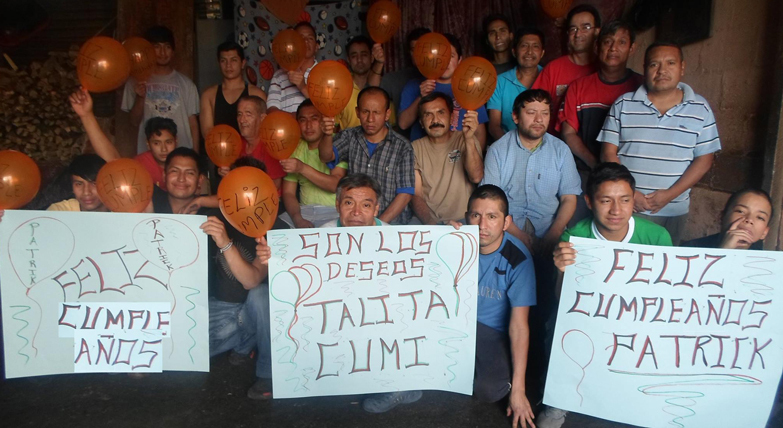 Talita Kumi is the only long-term residential treatment program in Guatemala open to everyone, regardless of ability to pay. Talita Kumi is the Mayan translation of Christ’s call in Aramaic to a recently dead girl to, “Child, I say to you, arise!” This call to arise and rediscover life is what the volunteers and staff of the Talita Kumi Residential Drug & Alcohol Treatment Center do each day with the program’s 100 patients in their battle against drug and alcohol addictions. The GOD’S CHILD Project and ANA became involved with Talita Kumi in 2004 when Talita Kumi fell several months behind in rent and salaries and had completely run out of food. When the program’s electricity was cut off. Jorge Armando Rosales called the residents together and told them he had no choice but to close the program. His very last shot, he told the residents, was for all residents to spend the night in prayer, and walk as a group the next day to our Dreamer Center to ask for help. We have been proud sponsors of this wonderful grassroots program ever since. The Talita Kumi Residential Drug & Alcohol Treatment Center provides in-patient and emergency medical care for up to 100 residents, supervised detox, long-term medical and problem identification counseling, and the development of job skills and new coping skills. Since 92% of all Talita Kumi residents are homeless or teenagers living alone on the streets when they first enter the Talita Kumi, bed sponsorships and general donations for this life-changing no-frills program are much needed.